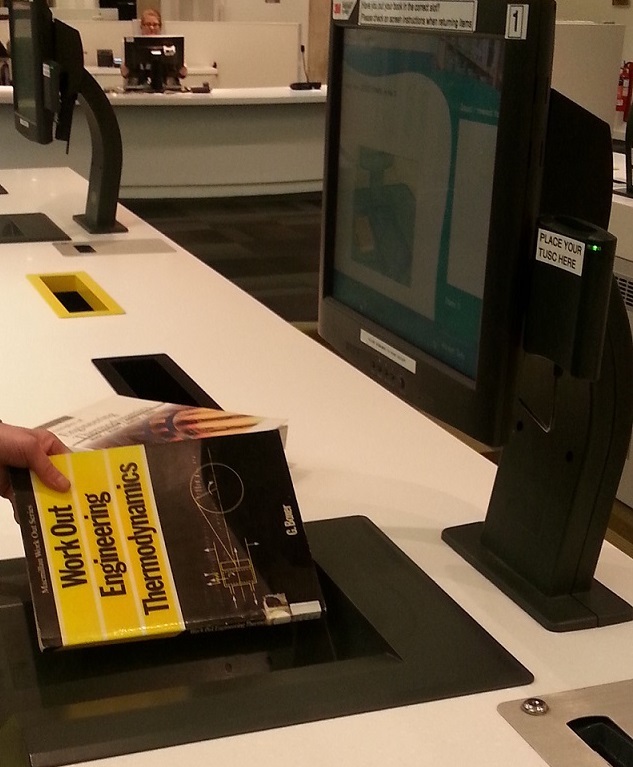 You can return items at the self service machines located on the ground floor of the Library at both Middlesbrough and Darlington campuses, during all library opening times. Items borrowed at Middlesbrough campus can be returned at Darlington campus and vice versa. 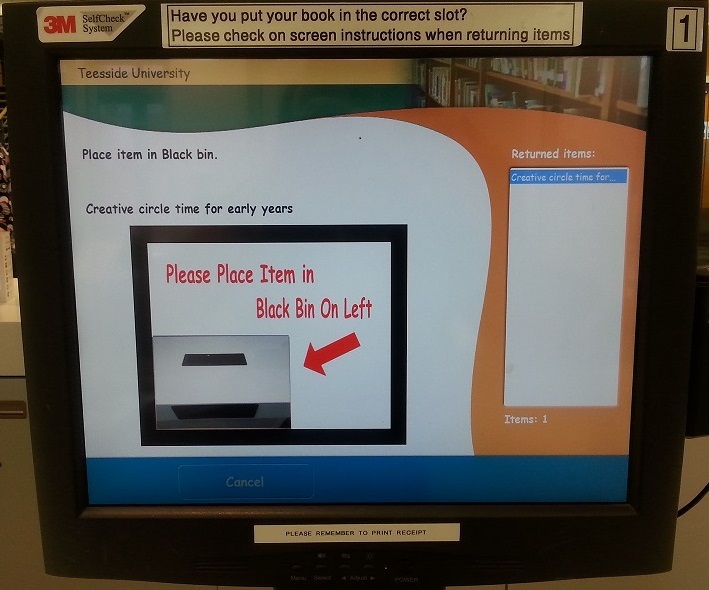 Return items at the self service machines on the ground floor of the Library. Pl ease remember to put the item you are returning into the correct coloured slot as shown on the self service machine. items required for the black slot may have a message on the item or be required by another borrower. This will help us get reserved items to other customers quickly. TS1 3BX When returning items by post, remember to get proof of postage. DL1 1JW When returning items by post, remember to get proof of postage.